Google keyword rank checker tools are specifically designed to help online marketers track their site’s keyword positions. 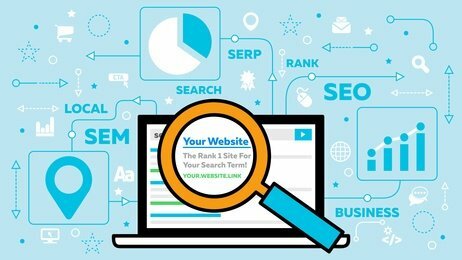 Knowing the keyword positions of your web pages is an important optimization technique you can employ to improve the performance of your keywords on both Google and other major search engines. Google uses the keywords in your content to determine what your page is all about. Therefore, if you want your pages to appear on top of Google search results, then you need to do a proper on-page optimization on your content. You need to discover where your pages rank in the search results before making an adjustment to improve them more and this is where these tools come into play. These Google keyword rank checker tools will help you to easily determine which of your keywords are ranking good and the ones that need more improvement. The good part is that they will display accurate position of your keywords on Google. Searchenginegenie is a functional and accurate Google keyword rank checker many online marketers are using these days. The tool is designed to automatically query Google’s search engine for the position of any specified keyword on the Google’s search result pages and provide the accurate result. You can use it to check the position of any number of keywords for your site and that of your competitors. Searchenginegenie will save you a great deal of time you would have wasted while manually checking keyword rank. It will help you know the performance of different keywords you used on your content. It does not matter if you’re working on a small or large site because with this tool you can run hundreds or thousands of keywords campaign. Use this Google rank checker to track up to five keywords at a time. You are free to specify the range of pages you want to track. Moonsy is a high-performance rank checker tool you can use to track your web page positions on Google search. It’s an important tool that will help you monitor changes in the rankings of your website. You can also use it to track your keywords position on Bing. You are only required to input the list of keywords you want to track and the sites you would like to check. Keyword Battle will automatically retrieve the position of any keyword you entered in the Google search results. One other important aspect of this tool is that you do not need to enter the exact page URL because it will automatically identify the domain name and display the position of the keywords. It can only check the first 100 search results on Google search result pages. This powerful tool will automatically check your ranking positions for multiple domain names and keywords. Whatsmyserp is completely free to use. If you want to get the best results of all that this tool can offer, then be a registered user. It will allow you to input multiple domains and many keywords, check the search engine result page history for each keyword and download the data. Registered users are allowed to get maximum 25 keywords per domain and up to 20 domains. Non-registered users are limited to save a total of 20 keywords. Registered users can as well track any changes to their keyword position through Whatsmyserp SERP History Graph. It can track the top 300 search engine results for multiple domains and keywords. This is an effective tool you can use to get an overview of your keywords positions in Google search. You will simply specify the keywords you would like to monitor and Seocentro will take care of the rest. Rankscanner tool comes with extra features which show related keywords and spell check. Seocentro has SEO reporting function that will alert you whenever your site rankings drop or improve. The tool allows you to view statistics, and ranking status. It will also show the keyword positions and URL of other websites that rank for the keyword you specified. With this powerful SERP checker tool, you can easily track your keyword position. You can also use it to monitor the performance of your keyword from time to time. Allorank tracker will query different Google data centers located all over the world and then present average position. The tool will allow you to select the Google domain from 21 different regions and languages. Simply input your site URL, keyword you want to check, country, language, then click on the button “Get my position” and it will display the exact position of your keyword on Google. This is another accurate and reliable tool you can use to check multiple keyword positions on the Google search result pages. Coderduck tool is free to use and it allows you to track up to 500 Google positions. Use this tool to get an insight that will improve your site performance on Google search. This useful keyword position checker tool is user-friendly with an intuitive interface that makes checking of keyword position very easy. GeoRanker will accurately track your keyword position for the targeted cities or countries. If you want to check your page position, just enter your keyword and the domain URL, and click on the check position button. It will automatically display the position of your specified keyword. You can also use this tool to check multiple keywords and keyword position in local search. SERPs keyword rank checker will help you discover where your web pages are placed on Google result pages. Knowing your keyword position will help you put in more effort during the optimization process. SERPs allow you to check your keyword position on Google and on other major search engines. You can also use it to search locally. This is another functional free Google keyword rank checker tool you can use to accurately discover the position of your keywords and that of your competitors. It can search for the position of your keywords on 500 pages of Google results. The tool is designed to easily retrieve your page position no matter where it is placed on Google. If you want to use this keyword rank checker tool, just input your domain URL, enter one or more keywords on a separate line, select the positions you want your page to be checked, and then click on the “Find Keyword Position button”. It will automatically display your exact keyword rank on Google search engine result pages.